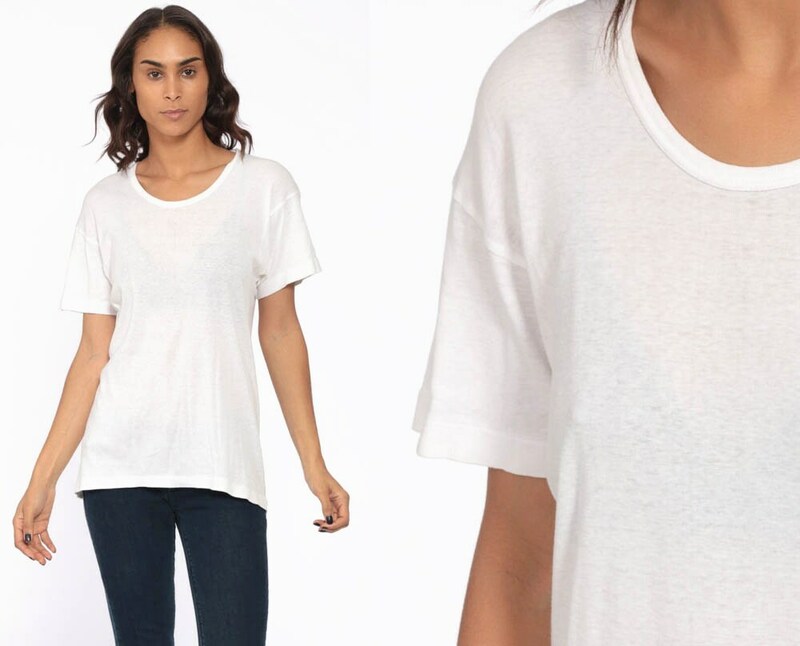 Vintage 90s t shirt in sheer white paper thin burnout with a round neck. Condition: Very good vintage. 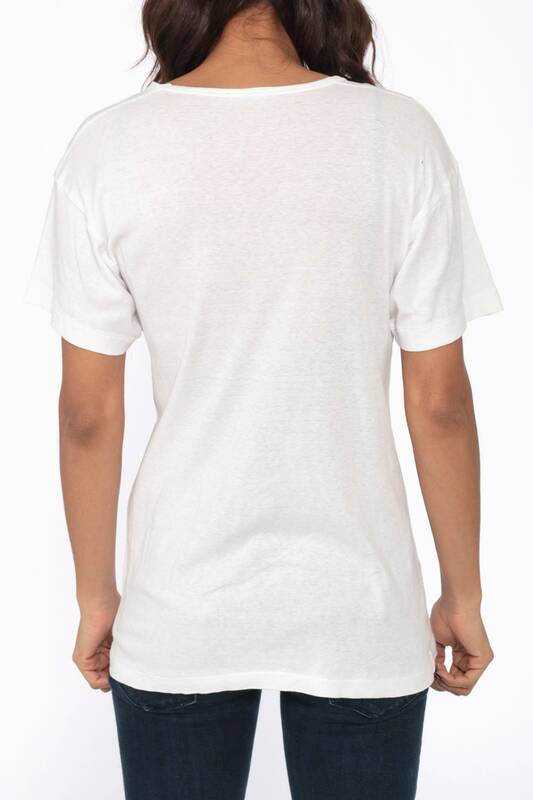 Has one tiny hole on the back behind the right shoulder.